It has only been a few days since my return from Carlsbad, where I spent a few days on a wellness focused press trip with Boho Travels. Within this post I want to introduce you to the travel agency and present you guys their wellness and lifestyle concept with a healing background.. I have already been to Czech Republic, a few years ago, when I was on a press trip with Mandarin Oriental hotels. This time I didn´t come to visit Prague but discovered the beautiful vintage and romantic alike Carlsbad, where our press trip took place. 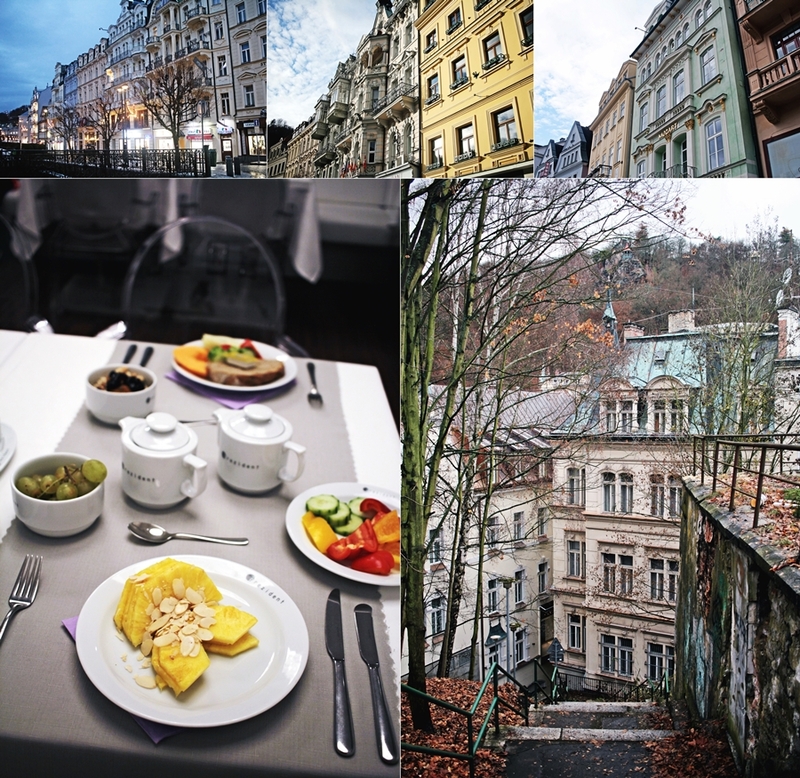 From Prague we headed to Carlsbad, where we stayed in the four-star hotel Prezident. The hotel is just a few steps away from one of the hot springs, which made Carlsbad that famous and interesting for travelers from all around the world. The water of the hot springs is claimed to heal the body. The concept of a bookable spa package with Boho Travels is to drink the water every day, in combination of an additional fitness program, multiple spa treatments and a special diet. Guests usually stay for 2-3 weeks, but packages for only one week or a weekend are also available, starting from 450€. On the first day we met with doctor and hotel owner Dr. Milada Sárová , who is specialized on the water drinking therapy and gave us an insight in the benefits of the healing water. 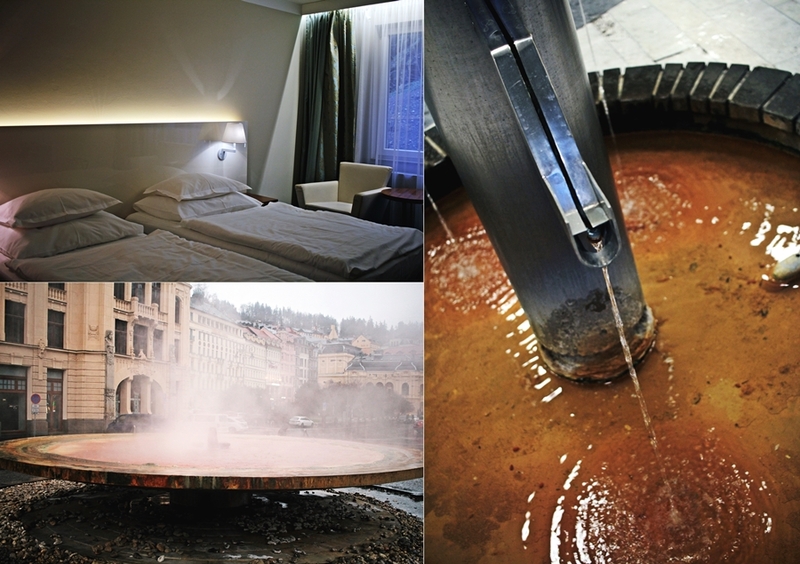 By the way, the hot springs are freely accessible and come without a charge. Later on, the doctor, Jitka, the founder of Boho Travels and a tour guide joined us to take us around Carlsbad and introduce us to the many different hot springs and reveal the beauty of this lovely small town, which becomes a hot spot during the annual film festival, where many international celebrities come over. After our return from the sight seeing tour, we were touring through the hotel. 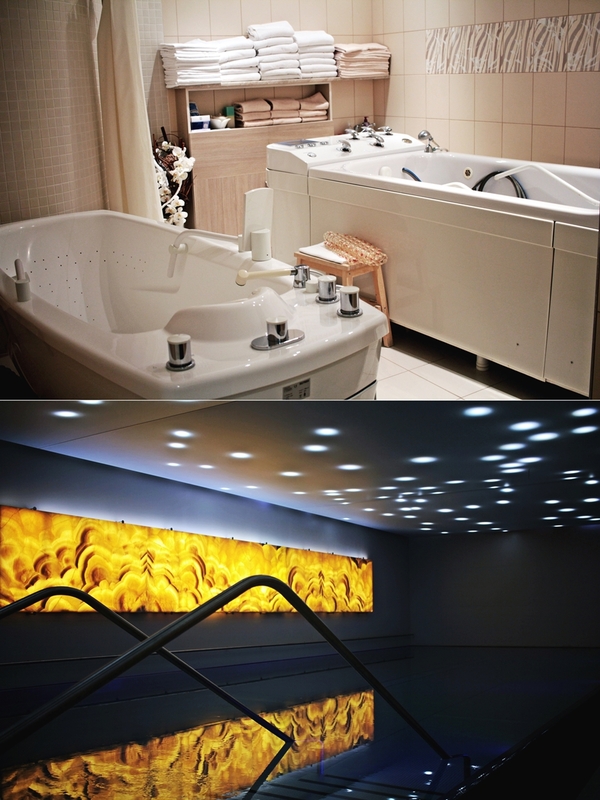 At the end of the evening I was happy to enjoy some me-time in the spa and wellness center of the hotel, which is equipped with sauna, pool, gym and a spa center for treatments. On the second day I actually enjoyed some treatments. I tried the oxygen therapy, which was a totally new experience, since I usually go for facials or massages, but with the oxygen therapy I got a new insight into spa and wellness, as the oxygen was pumped into my body, through my nose. It was a weird but new experience. At the same time, I had a paraffine treatment for my hands, which were super softened afterwards, and still are. The oxygen and paraffine treatment took one hour, before I went to the water jet, which is a water bed with a massage function. I was just as calmed, that I even fell asleep for a while. I finished the day with some shootings in the romantic city atmosphere and returned to the spa center, where I fully recharged, before I went for breakfast the next morning and got ready for my departure back home. It might have been a short trip, but Carlsbad is such a beautiful town, which is definitely worth its visit. The combination of travel and lifestyle, which Boho Travels introduced me to within this trip was a distinct experience. It´s not only a typical spa trip with a few massages, but a grounding medical beauty experience, which is designed to change one´s body and healthy. Letzte Woche ist mir auch mein Trinkgefäß (in Eichhörnchen Form) für die Brunnen in die Hände gefallen.